If you would have asked me at the beginning of December what I’d be doing mid January of 2017, I laugh now to think of my answer. I would have carelessly rattled off something about the craziness of “pilot season” auditions, the monotony of life as a nanny, and the fickle stupidity of trying to find a respectable date in New York City. And, *sigh*, I just shake my head at how none of that even matters. And just how, where I actually find myself now, mid January 2017, is in a whole ‘nother stratosphere. What am I doing? I’m helping my mom get her life back after her stroke. At home. I’ll tell you what, there’s not much more humbling in life than sleeping in your childhood bed, as a mid/late twenty-something, single, and with an uncertain/unplanned future. That, friends, is a slice of humble pie. And as I was having an (admittedly) selfish moment of self-pity, with text messages positively blowing up my phone, all from group chats making plans for Saturday night in NYC, that I had an “ah-ha” moment. A bit of a lightbulb situation. I’ve been looking at my decision to come back home for this season as a bit of a…oh, I don’t know…a pause. A time out. A period of stagnation. But actually, what I’ve done…is radical. Yup. I’d say that pretty much sums it up. If I’m honest, that word scares me a little bit. I think, especially with the election season still in our rear view mirrors, we hear that word, and we think of “Far-Out Libs” or alt-right nut jobs. But I’ve come to have a bit of a new appreciation for the word, as I’ve been thinking more and more about my radical decision to give up (albeit temporarily) my life in NYC, my acting career, my job, being in daily physical contact with my friends, and hopes at finding a boyfriend….what I’m doing is actually a complete act of faith. And the more I swirl that around in my mind, the more I realize just how much, whether I realize it or not, I am totally and completely depending on Jesus right now. Because here’s the thing…listing off all those things that I’m “giving up”…there’s not a single ounce of me that is getting anxiety or heart palpitations thinking about it. And, in all honestly, I probably should be starting to sweat under the collar when I really think about it. But I’m not. I’m at complete peace. Whether I realize it or not, I am completely trusting Jesus. I have completely surrendered my life to His plan. Because you know what? I don’t understand what the hell is going on in my life right now, but I’ve got to believe that He’s going to see me through…in abundance. And all those things on my “list” of things I’m “abandoning…” God is going to have me end up right where I’m supposed to be. And right now, that’s being with my best friend…my mom. Growing up, my entire life has been one giant exercise of surrendering to Jesus. And honestly, I’m kind of chuckling thinking about it, because really, my life has been one big “practice drill” for the main event — right here, right now. The anorexia, the ulcerative colitis…those derailments of my life — for a good 4 or 5 years, collectively, when all was said and done…I had to completely hand over my life, my body, my plans, my everything to Jesus, and He has never failed me. Not once. He always brought me through, to a place that was better than anything I could have planned for myself. I can only see a tunnel vision of possibilities for my life, but God…He creates the picture. He is the artist of my life, weaving the tapestry. All I can see is the back of it…with all the threads in a giant mess, criss crossing and doubling back on themselves. It’s not until I turn the tapestry around to see that God has been, truly, creating a beautiful masterpiece the whole time. I just couldn’t see it from that perspective. My decision to come home and be with my mom during this crucial time in her recovery, sure, it’s radical. But it’s also an act of faith. I do believe I am doing God’s will, being with the woman who gave me life when she needs it most. And in doing so, I am in complete surrender. But I’m not afraid. Because Jesus, I trust in You. And if I’m really trusting in Jesus, then I’ve got to be forthright about something that has been moving in my spirit. I’m getting such a strong nudge to do something that…well…it scares me to even give voice to publicly. Because in doing so, I am putting it out there. On the record. Documenting a goal that I am now accountable to. 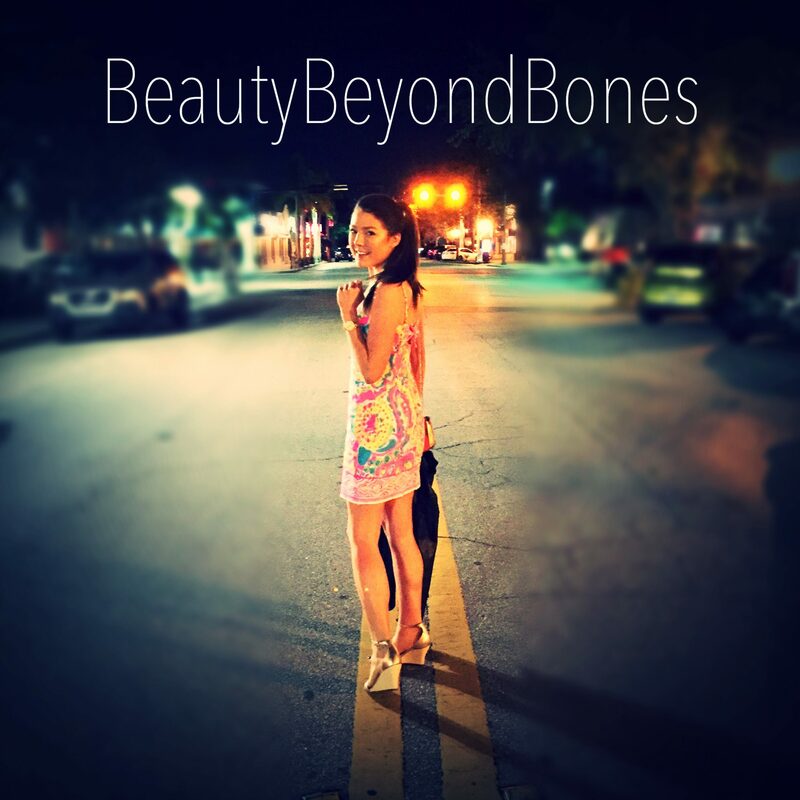 But I think God has given me this quiet season in my life to finish up writing the book that I started when BeautyBeyondBones began, a little over a year ago. I have been called to complete it, but have never found the time, between my job and my friends and keeping up the rat race in NYC. And, now, I find myself with the time to do it. Turning BBB into more than just a blog…that scares me. But just like everything else in life right now, I’ve got to just hand this over as well, and say, Jesus I Trust in You. Wow, you are at peace with where you are right now. Very cool! Ephesians 6:10 comes to mind! Keep going strong. Your comments are so encouraging and beautiful but I’m not sure she will see them because you are responding to my comment. I hope she does see them and is really blessed. Thank you for sharing your walk of faith! You have a powerful testimony! So proud of you! Prayers for your Mom and her recovery…prayers for you and your discovery! Completely trusting Jesus…. My plan for this year too! This is why you have a Rosary. This is why Daily Mass is key, when you can get there. Remember people out there love you and your family. My blog is discoveringandsharinggrace.com. A wonderful community where we discover and share God’s grace! Someone once told me that FAITH is “Forwarding All Issues To Heaven.” It’s so cool to see people do that! For what it’s worth, if you wrote a book I would totally buy and read it! BBB, so sorry to hear about your mother! Father, pour out the gift of your Holy Spirit upon C’s mother. May her body know the healing strength of your divine presence! In Jesus name. Amen. I really enjoyed this post! It goes very well with the message I’ve been working on for Sunday. The premise is we cannot begin to depend on God until we accept that everything does not depend on us. Blessings to you in the unexpected and and uncertain time. May God reveal his beauty to you in a new way. Awesome post. I hope your mother mom is okay. My folks moved here to be close to me. It certainly changes things. Jesus I trust in you is correct. I will say a prayer that you finish your book. You’re an inspiration to many. God Bless you. Peace and space to write be yours. Prayers are said for you and your mom and dad. Nearly four years ago, I moved my mom nearer to me. It was the right and God honoring thing to do. Blessings to you and on you! Ugh I love this !!! I’m 29 turning 30 this year and I’m living at my moms 😩😂 but I know everything will workout . Trusting God with my life is the best thing I can do or else I would drive myself crazy. My first book was published last November. It was written in fits and starts as I care for disabled family members. It can be done. One of the best bits of insight shared with me by another writer was that the Apostle Paul was very fruitful – often while in jail. Much of the New Testament was written down by a guy in jail or at least under house arrest much of the time. So “confinement” of whatever sort can be productive. I pray that it is so for you. Bless you for taking care of your mother. What one gives up in Christ’s service is replaced in unexpected and greater measure. God is good at getting our attention, isn’t He? Or just refocusing our attention on Him when He sees that we losing sight of Him, even when we don’t realize it ourselves. I just got done reading something by A.W. Tozer. Something he wrote said, “Whatever keeps me from my Bible, is my enemy however harmless.” The same can be said when we start losing focus of God. When the tough gets going, you let go and let God. I’m still praying for you, your mother, and your family. It’s been difficult for me lately to focus on God what with everything I’ve been doing in my life, and it took spraining my knee and ankle for me to actually, and quite literally, slow down and think. I read Psalms 1 today and it said that one who meditates on God’s Word is like a tree planted by the river–growing stronger and drawing its strength from that river. You are that tree, Caralyn, keep your chin up and just let God guide your life! It is challenging! Like all things that God wants to teach us, it takes practice in application! I hope you’re doing well, Caralyn! I know that a family member getting hurt can be devastating, but it sounds like you’re handling it well and that you’re being as strong as you can be! God has certainly brought you far! Hope to hear from ya occasionally! Thanks again 🙂 Yes, God really has brought my family through this. I am incredibly grateful. Good for you girl!!! Best of luck with the book!!!! Cool! You totally deserve a shoutout, your blog is amazing. 🙂 Thank you for your kind words! Good luck to you girl and I wish your mum the best of all possible recoveries. I was my mom’s caregiver until she had a stroke so many know how you are feeling. Thinking of you. I only recently stumbled across your blog and now follow you faithfully and just followed you on Instagram. I seriously wish you so well. I have been very, very sick for over a year and spent a year, all last year, recovering. This year things are looking up but I have a long way to go. Being sick has made me a very spiritual and soulful person and I identify with you in that way, girl. You rock and I wish you all the best and send cyber hugs your way. Keep on blogging way please and know there are many out there who so are uplifted from reading your writings. Have a good night. Hi Caralyn. I am welling up with pride and love for you, after reading your post. I will keep this response short, ( I think ). Three points came to mind as I read. First, that you are settled in, caring for your Mom, and knowing you are right in being there. I know your previous post stated you had gone down to help. And then, when you mentioned twice about following Jesus closely, knowing God has His plan for your life, and you are following Him, my spirit really filled up with joy, because that is such a blessing to hear. And the final thought for now, since I said three only tonight, is how thrilled I am that you are taking up writing your book. I realize also, that was discussed quite a while back, but sometimes a road bump happens in life, then our plans are altered a bit. Continuing to pray with expectations, for your Mom, as well as your Dad and you daily, believing for a Healing touch from Jesus, with His Peace and Calm, along with the empowering of the Holy Spirit. First, continued prayers for your Mom. Second, prayers for you. I’m just glad you are at peace, trusting Jesus completely. Best place to be. Let us know when we can expect the book..You are an inspiration. Thank you! We will see how things go, I have full faith and confidence that God’s will be done, even if I don’t necessarily always like that answer. I’m greatly looking forward to your book! Amen to that 🙂 and thanks again! The Lord’s plans are high above our understanding, but you and I can count on His love, wisdom, power and goodness. First off, thank-you for using that ‘That’s So Raven’ gif!! That show was everything!! Looking forward to the spin-off. It’s so wild how I can relate to the seasons in your life. I too am in a place of wondering what my tapestry is looking like because I have been involved with an unpredictable life journey l. One thing is certainly true, God has not failed us yet. Every part of our lives is working out for our good. He is present through it all! This time for you to write that book sounds incredible. I can only imagine the impact it will have. This blog is just a taste. You keep being a wonderful support system for your mother and remain inspired. All the other things you seem to be missing out of may not even be intended for you anyways. Keep the faith! You’re spirit is contagious! Yeas!! One of my goals in life is to have an exclusive collection of all those movies BUT those are tougher to collect then the movies in the “Disney Vault” *sigh* They did play ALL of them over the summer FYI. It was glorious…but I did not get much sleep that month…ha! Thank-You but YOU are the great encourager. Takes one to know one. Good for you! The best way to find yourself is by losing yourself in another. Gosh, I’m so proud of you. I say go for it. Finish the book. You’ll never be sorry that you did. And cherish this time with your mom!!! Glad to hear you’ll be completing a book! I think it will used to bring great encouragement, hope, and healing in Christ to many. You may already be aware of it, but a great option is self-publishing, using services like Amazon’s module, CreateSpace, and on Kindle. I published my first book, “Road Dirt: The Musings & Ramblings of a Biker Preacher”, using their very user-friendly interface. Wishing you and your Mom the best! It’s been a long day on the road, but I’m glad I still have time to check your entries tonight! My comments are at Patreon. I am very glad that being home is really starting to work for you on several levels! <3 What is this book about? That sounds like it’ll be great! Always love your posts! I’m going through a similar time of growth in strength and faith, especially in looking back at where I was a few months ago. It’s amazing to hear others who are so on fire for the Christly life, keep it up and He’ll keep blessing you endlessly! Another great blog – thank you! I especially liked ‘I don’t understand what the hell is going on in my life right now, but I’ve got to believe that He’s going to see me through’ as this Im sure is do true for many of us reading it – I know it certainly is for me! By the way I’m delighted to hear you are writing your book again. You are indeed a gifted writer. As the owner of a publishing company do let me know if I can help in anyway. May I interview you and your wonderful site through email? This is probably one of my favorite blog posts of yours. So inspiring !! I myself believe that God leads you to places to think,to breath and to move on. God will never let go of you, He just has a better plan for you, one you can’t even imagine!! You have been blessed – not only with precious time with your mom but with this chance to write your book. Go for it!!! So much victory in your life. You probably already know this, but if you’re thinking about writing a book, publishers expect you to be able to self-market (ESPECIALLY if you’re a new author), and…well, this blog would make one heck of a platform. The biggest barrier that most new authors face, you’ve already knocked out. (Or God has.) So give it some prayer! Yeah, when I started doing research on getting published, I learned that publishers have very limited resources, and that most of what they have is shuttled towards their tentpole authors. They have no intention of doing marketing for you. So in order to impress them, you usually need some kind of “platform” from which you can self-market. And I’m telling you, a blog with the sheer number of followers you have…most aspiring authors would give their left arms for that, not to mention the easy relevance your subject material has. So take advantage of it! May God watch over you and your mother at this time. Sometimes when we try hard to do something we may be working against the Divine plan. I did that for years until I surrendered. Once I let go and trusted the Divine, life fell into place. Good for you. Princess I meant broke as in without a dime lol, but broken too may apply especially when the spirit resolve is weak and feeling so earthly lonely ( I know you get me somehow on this) cheers to mum Ok? There’s not much for me to add there. 😀 But watch me – I like to talk. Hahaha! It’s scary, yeah, but that surprising peace? Awesome, right? I rarely experience it; it’s so sporadic… not often enough because, I guess, it really only comes from trusting God wholly, fully and without any reservation whatsoever. Even when we fool ourselves into believing that we are at peace when we tackle “stuff” within our control, we really don’t have complete control of anything. Not even our own emotions! This peace really only comes comes from faith and it’s not even about knowing what God is doing or gonna do for us but in accepting that whatever He does or gives us, we will be okay and it will be the best for us at that particular moment because His is an act of love. And, we must respond accordingly. That’s tough – surrendering to that! It’s tougher for control freaks. Me. I know. Lol! You have a wonderfully blessed one, too. It is always right to take care of your family. What a kind and unselfish thing to do. The rest can wait, you are needed and God will honor that obedience. Thanks for writing about our tunnel vision. We see a maze while God sees the big picture, and the big picture is beautiful. I’m going to write about this today in my blog. You are such an inspiration. God bless you! Awesome testimony of faith and trust! Wow! And you’re only 20-something? What you’ve discovered during this trying time with your mom is what’s most precious in life…more important than careers and all the accolades the world can give. It’s our relationships…it’s other-centered love mutually shared through the thick and thin of life. And that’s a gift from God. This will serve you well in all your future relationships, because, at the end of the day, that’s all that really matters. This is beautiful! Trusting Jesus in uncertain times…best choice I’ve ever made. Very brave and selfless of you to be doing this, and I know Jesus has you in the palm of His hand. It’s hard to remember that sometimes, though. Especially when we’re looking at our own situations. I’ve been struggling with anorexia for more than 15 years now, nearly a full half of my life. And things in my world have been changing radically over the past year. I’ve been living about an hour away from my family in another city for about five years, and this year seems to be shifting me in the direction of moving back to be closer, mere streets away from my parents and my sister and her own young family. She’s losing her husband to terminal cancer. It’s happened hard, and it’s happened fast. And as he gets nearer and nearer to leaving us, the more I feel like I need to be closer to her. She’s my best friend, and she’ll need someone to talk to. At the same time, I’m terrified. Living a full hour away from everyone has kept me somewhat “safe.” I’m afraid of what being closer will mean. I can’t hide out. I can’t avoid having my family come visit my apartment, where they might open my fridge and see just what IS or ISN’T in there. I’m afraid, but I hate living this half-life of fear and hiding. And I miss them. I miss my family. I miss my best friends, because that’s really what they are. So I understand your feeling that you are where you should be where you are right now, back close to your parents, even though it wasn’t what you’d planned. I’ll be praying for you, and your mom’s recovery. I hope you’ll keep me in yours. So beautifully written, so poetic are the words! But more importantly is the beauty contained within your spirit. I sincerely hope your Mom recovers her health. I think you are brave, compassionate, and very wise. Thank you for these lovely words and even more for your positive message. You are most welcome and it certainly did resonate with me! May blessings flow abundantly down on you and yours…Take good care of you! Keep up the faith. Our Savior and Friend never lets us down. Never! True peace comes when we utterly rely on Him and trust His choices for our lives. Keep on keeping on in faith! 🙂 And keep smiling, it truly helps. Radical, yes. But an act full of love. I”m not sure I’d have classified it as faith as much as I would have love, but both work. It certainly is radical, adventurous, unsettling. You will find it, no doubt, an interesting time of untold growth. You honor your mom, and in doing so, honor our Father. I see so much of myself in your words and can relate without doubt. Gifted you are, young lady! Go for it! The world needs more hope! …grief – the wrong word, perhaps. I mean burden, or pain. I think this God placing you right where you need to be ! You had been struggling with the urge to leave NYC and head home for awhile and a situation arose which led you back home! Gods plan is perfect and I’m praying you’ll take this season to embrace what he has coming your way! Rooting for ya! Can’t wait to see the next phase of your journey! I suspect that you are feeling peace because you are fulfilling one of God’s commandment: “Honor your father and your mother, so that you may live long in the land the LORD your God is giving you.” Exodus 20:12. In caring for your mother you are fulfilling this commandment. When we fulfill God’s commands, when we are the compassion of Jesus in this world; then, God draws near to us and gives us His peace and His joy. Serving Christ in this way is its own reward. Your radical decision is only radical in that you have chosen to follow God’s will. You have taken the lesson of Jesus to heart: Sitting down, Jesus called the Twelve and said, “Anyone who wants to be first must be the very last, and the servant of all.” (Mark 9:35). You are placing the needs of your mother before your “needs” (really, before your “wants”) and being her servant. You are being Christ for her. Is it any wonder that you feel the hand of God in what you are doing, in where you are at? Write your book. Care for your mother. You are doing God’s will and by surrendering to Him you will achieve an amazing victory. By losing the battle of selfishness and realizing that to be first you must strive to be last and servant of all, by doing this you will be blessed. You’re doing the right thing. God bless. Also, good luck on finishing your book. I might actually do the same thing you’re doing, come to think of it! Thanks 🙂 oh nice! Go for it!! The word radical comes from the Latin word radix (plural = radices) for root. You have returned to your roots, your source, which is a beautiful thing. You can’t see where you are going if you forget where you have been. You will find in caring for your mom that she will unintentionally give more for you than you will to for her. Kudos to you for putting God first, then family. You are a blessing. I’m so excited for this new chapter in your life. I will continue to pray for your mom’s recovery and God’s guidance! You have my prayers, my support, and my attention. Your mom is in great hands. I can so relate! Thank you so much for sharing from where you are at! I think we all hit those places where surrendering to Jesus is all we have, the only hope we have, but it’s in that surrender that we find who He is and who we are! What an amazing God! Amen! hugs and kisses to you too! I like how you place your honesty right in front of the reader! Stay strong, Caralyn. You can do it. Sounds like you are exactly where God wants you to be! You are very inspiring. Thank you! God has an amazing way of removing everything comfortable and familiar from our lives so we can live in complete dependence on Him. I look forward to reading more about your journey! Thank you Beauty. My high school son, suffering the effects of a well-meaning but pushy youth pastor, once said to me: “Dad, I want to be “out there” for Jesus. I told him that the goal of the Christian life is not to be “out there” for Jesus but in close, as close as we can possibly get. Alas, the work of being radical for Jesus: It is always an inside job. Your story reflects this beautifully. Blessings. Hey Jayson, yes, I will try to get to it as soon as I can. As you know, I am full time caregiving for my mom, so when I get a chance I will! thanks! Amaing post. What a great reminder of what Fatith looks like. I pray that your Mom has a full recovery. Thanks for reading my post entitled “GratITude.” Be blessed! Wow! Yes, PEACE is a marker that we are doing God’s will! I think Jesus is also teaching me to have radical faith in some of the decisions I will make this year. Your poor mom, how is she recovering? I think it’s marvellous that you can be by her side, and that God had you in a situation where you could just pick up and leave in order to be there for your mom. I bet your book will be terrific, go for it! If the Holy Spirit inspires you to write a book, I believe it will benefit many and God will minister to people through your words. You have a wonderful gift. It has touched me. God bless you and your mom and your dad. You didn’t think you’re going night what they’re getting my response did you? Good cuz I hope you’re having a great day. It has come to my attention that you are a good person. I’ve also been in the situation that you’re in right now I can relate to Everything You Touch on tonight. I can’t say too much more cuz I don’t want it to be the size of a medical book with big words that no one can understand. all I can say is that I’m happy for you and I’m really proud of what you’re doing right now because I was in that spot to with another family member of mine. I’ll be praying for you and your mother you can take that to the Bank. The blood Bank of Jesus. Keep fighting keep smiling keep believing keep trusting keep praying and most of all keep looking up when things are good and they seem to rise like blueberry muffins out of the oven or when things are bad like rainfall during a thunderstorm. Oh you’re kind to ask, thank you 🙂 She’s doing better every day. We are so encouraged. She is truly a warrior. Okay – thanks again for pouring your heart to us. Such a warm and kind heart to help Mum. Hope everything going to be fine. But look at the Matthew 21 : 22! Take and declare it over your life and people around you. Bless you dear. Everyone welcome to have a visit , Promise you will be interested! As I read this, Jeremiah 29:11 came to my mind. Great post! Praying for you! You are an Amazing girl, and I have faith in You! As you say, when we let go of controlling everything, and let it over to a higher power, everything turns out better than what we could have planned it to be. And as you said, we don’t see the bigger picture, the Creator does. My very best wishes for both you, and your mother. May her recovery be quick and joyful, filled with blessings. Good luck with your book, I know it will become Great! Kudos to you for leaving behind the perceived shame to live at home and take care of your mom. It is not an easy job at any level or at any time of life, but I would think more acutely so at your age where independence is seen as “successfully ” growing up. What an incredibly encouraging post! I’m thankful for your willingness to pursue Jesus, even when it’s hard. “Giving up” those other things will pale in comparison to what the LORD has in store for you. Jesus is Better. He has a bigger destiny for each of us than we can even begin to imagine! Romans 11:33-36 became my life motto shortly after my life changing experience. I hope you can find comfort in those words too! I love that our lives and experiences are worlds apart but our love, pain, challenges and lessons are rooted in the faith and goodness of the same God. He is always with us. Praying for your moms recovery and that this season of your life continues to be spirit led. Hello dear. Look at where the Lord has brought you. You’ve helped me to continue with my autistic grandson, who is the joy of my life. I gain strength from reading your blogs and your resolve to continue in Jesus. Yes, it’s more than just a blog. It’s an inspiration. I pray for you whenever I think of you. My daughter is getting better. Praise God. A very sacred moment in every person’s life… when they become aware that the direction of their love has separated from their dreams of success. “Your” love of your mother and family has brought you to where your are, not your love of Jesus… that is God’s plan, and nothing more. Trust and follow your love. Everything else just falls into place. (I only trust people who choose to follow their love. Everyone else is just delaying an inevitable crash.) All my best prayers to you and your family. Life seems to always be one step ahead. The good news is that God is right there with it! 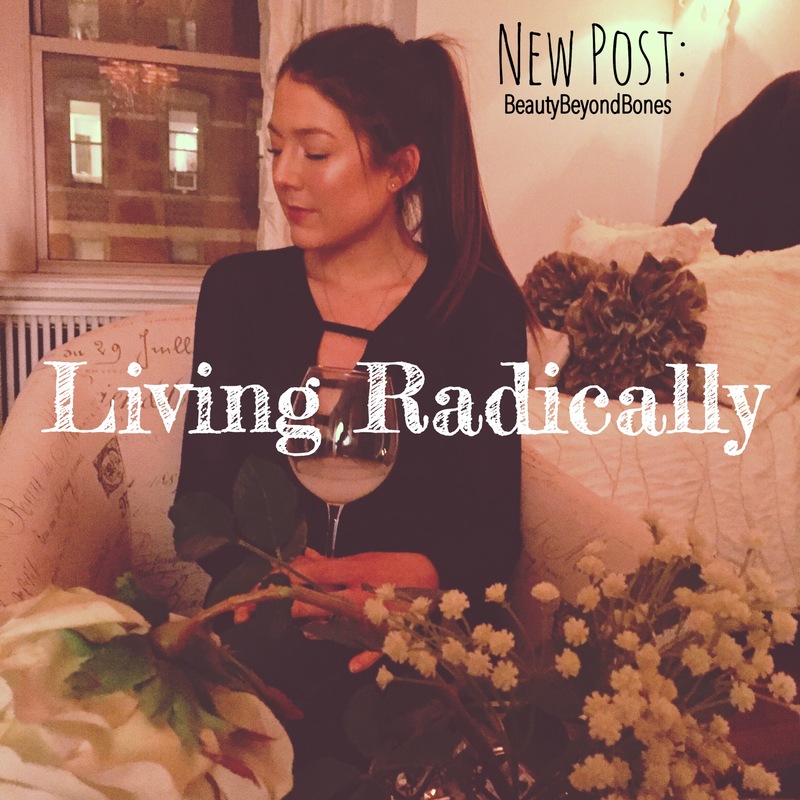 Living radically so often is embracing the precious mundane things we have been given in our life by God, Family, friends, and the simple obedience in faith always marks the most radical believers. Keep walking in faith, God is in the midst of it. Praying for recovery. Finish the book! I recently finished one and it has been such a blessing to give a tangible piece of God’s amazing faithfulness in my life to others. Yes, you are living the words out. This is the nuts and bolts of a life of faith. I will pray for your book. When the Lord has the right timing, He gives you time to do it. Now with life under your belt, maybe its time. I am in the same boat. My blog is actually secondary to my book. It is a long road, but it will be worth whatever God is bringing out of it. Oh, hey I liked your courage photo with the two fingers hugging. I noticed that was your picture. Can I use that in a post? I just didn’t want to use that without permission. I once heard that “the land between is fertile soil.” It’s a scary place to be – but you grow so much in that time of taking your leap of faith and seeing where God will have you land. And you will never regret being their for your mom! God bless! How odd. You wouldn’t know of course, that I had started writing a book for my daughter about three years ago, and nearly lost it when I lost all my data. Thankfully, I still have the printout I read to her when I finished 13,000/- words. It then lay somewhere. Last year in July, I met a man who would later become a friend, and then virtually family, and when I found out that he had illustrated a book, and being intrigued by him, I ran my unfinished book by him, and was fairly surprised by his well-thought out response with good reasons, why I should finish it. Months passed, and then as the season ripened, with several confirming indicators, I decided to start the blog, knowing that if I could sustain this, I would be able to finish the book at the right time. Little did I know that the blog would turn into my devotional and badly needed time at my point of life, to get time with God and go deep with Him in reflection and dialogue. I will certainly now pick up the unfinished book when the time is ripe and finish it, and even if I don’t, I would have discovered the blog and people I’m getting to know through it, not even counting the significant changes happening in my family’s life by virtue of sharing our stories. I really hope you are able to write your book, and that God will really speak to you and through you in your writing. Beyond the shadow of a doubt, it will reach far out. We’re continuing to pray for you, your family, and your future husband. I was touched by your post about your mom, and think that it is such a blessing to have Godly parents you can look up to. I’ve been a parent to my parents for so many years now, that I had to deal with and continue to deal with many issues of frustration, burdensomeness and the inability to go beyond the relationship we’ve been circling in for as long as I can remember. You can guess I’ve lost it uncountable times, and I still can’t understand how God can change people like me, and continue to work in me. At the end of the day, it’s an honour to serve and love them. We used your post in our family prayer time today, and were blessed by the reminder to love and serve our parents. It was humbling, and I’m grateful for your honesty. I am so sorry to hear about your mom having a stroke and that is amazing that you have headed home to help her through her recovery. I will be praying for you both during this season of your lives. And good luck with writing the book, I look forward to seeing you announce that it is about to hit book shelves. You should totally finish a book. Not a lot of people have the courage to talk about the kind of stuff you blog about. I think it’s something girls need. (Piece of advice, I write a lot, always, always reads tuff twice. And get a second opinion.) I think it would be awesome for you to share your story. Time to contemplate a major project. Enjoy. What a beautiful and moving post. My prayers are with you and your mom. My mom is one of my best pals in this world, so I understand (and appreciate) your dedication! I enjoy reading this BLOG very much! I like that you have faith. Break-a-leg with your upcoming auditions. Haha, who doesn’t love a big hug! You are lucky to have each other for sure. And no worries on reading posts, if someone takes the time to read mine, I try to do the same! Although I don’t live in NYC, nor am I in the acting world, I can completely understand the rat race of life, and trying to find the time to do something that needs to be done, or that you’re called to do. Keep the faith and know that you have the support of many to walk along side of you. Thanks for stopping by my blog, The Little Red Wagon blog on WordPress! and liking my Faith post! Thank you for bravely sharing your journey! I have a very similar story and would love to connect with you. If I can be there to encourage or pray for you, I would love to help! God will give you ALL you NEED! Keep trusting Him! I am so proud of you! When Jesus says: “Come with me”, you can trust that He will guide you and protect you. Maybe this doesn’t make sense for the rational mind, since the Holy Spirit works in a different way and from a higher perspective, but every new and then, you got to take a leap of faith. We see only a small part of the great divine plan. But if we are courageous enough to go the way, we are gradually becoming more and more aware of it. I’m sure your book will be wonderful. You have a lot to say. Write with relentless tenderness and listen to the life-giving words in your heart 🙂 Embrace the totality of all feelings, memories, pleasures and fears, pain and beauty. Everything can be transformed into the light of grace.